I love that Disney movies of late have had special, fully-produced shorts in front of the feature film. It adds something really special to the moviegoing experience, and I'm thrilled to hear that it's going to happen in theaters with Disney's Cinderella in just a few months! Even better, the newest short is Frozen Fever, a continuation of 2013's Frozen! 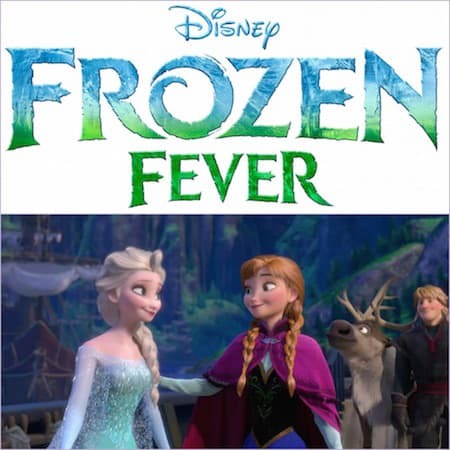 In “Frozen Fever,” it's Anna's birthday and Elsa and Kristoff are determined to give her the best celebration ever, but Elsa's icy powers may put more than just the party at risk. Cinderella and Frozen Fever will open in theaters together on March 13, 2015!